This product is manufactured and marketed worldwide by TK Systems. The SOILSPEC System is a soil moisture measuring tool used in agriculture to optimize farmers irrigation and minimise water usage. 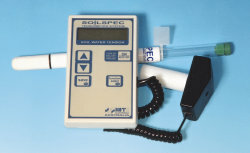 The product was designed from concept to final product, including the hand-held gauge unit, soil moisture probes, carry case, packaging and marketing materials. It also includes PC software for data storage and analysis. The SOILSPEC System was designed in conjunction with the Victorian Dept. of Agriculture. This is a solar heating/cooling unit. Apart from the mechanical design, TK Systems has designed the electronic control system hardware, software and user interface for the room thermostat. 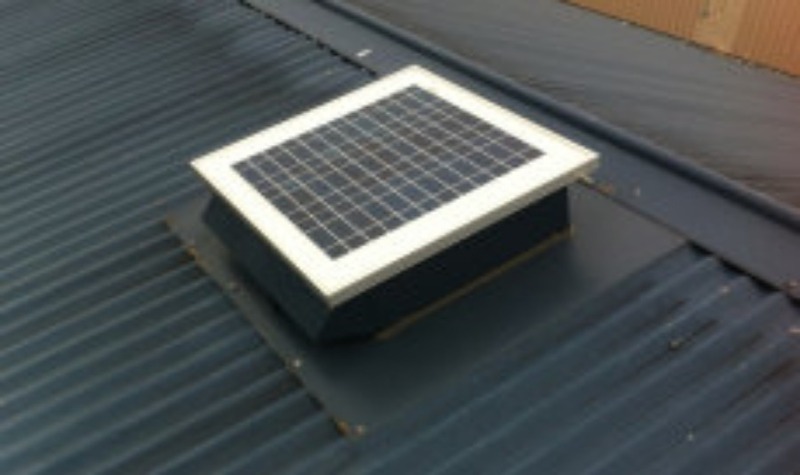 TK Systems currently manufactures this product for Smartroof Australia (www.smartbreeze.com.au). TK SYSTEMS comes from an extensive history of innovative industrial design. Contact us to enquire about assistance with specific requirements of your own design needs. TK Systems has extensive inhouse design capabilities for wireless control and data requisition for products.